But my dad could also type like a maestro. I remember as a boy hearing the sound of his old manual typewriter clattering away in his study. I remember asking him to show me how he made that magical thing work. And I remember later thinking it impossible to type so fast (120 words a minute, as I recall). Then in high school I took a typing class, and before too long I could type nearly as fast as Dad. 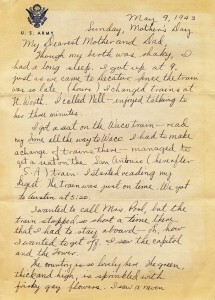 Still, at least early on, my father tended to write all his personal letters by hand. 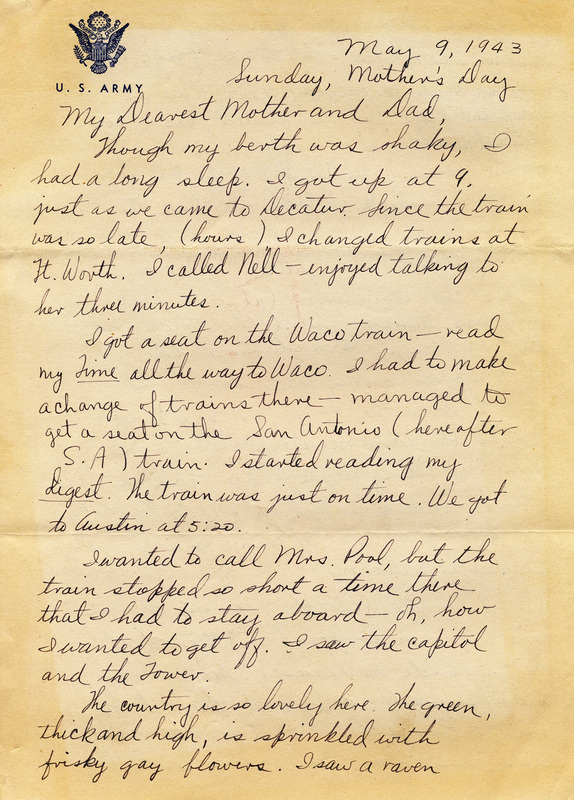 Like the daily letters home he wrote from basic training in 1943. When a day is with me, it stays so long. But when it is away from me, it seems to have lasted so short a time. The circus comes to town. The show itself was furiously thrilling. 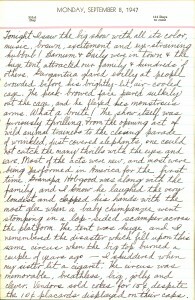 From the opening act of wild animal trainers to the closing parade of wrinkled, dust-covered elephants, one could not catch the many thrills with the eyes and ears. 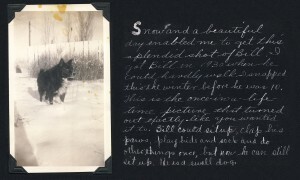 Snow and a beautiful day enabled me to get this splendid shot of Bill. 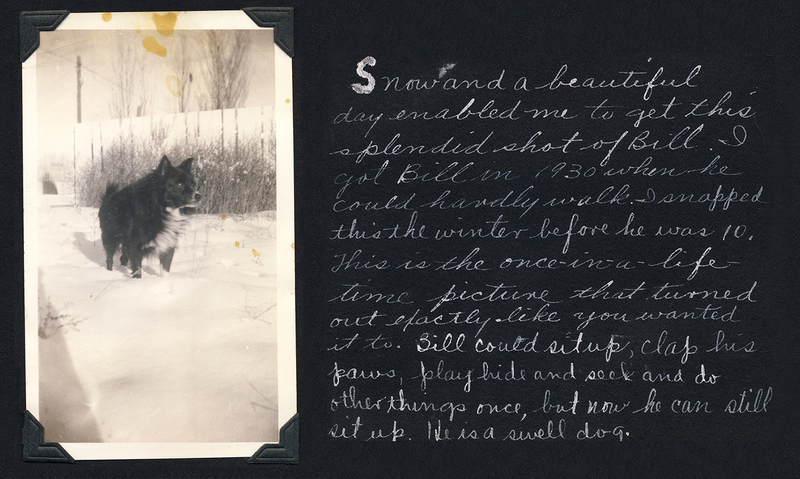 I got Bill in 1930 when he could hardly walk. I snapped this the winter before he was 10. This is the once-in-a-lifetime picture that turned out exactly like you wanted it to. Bill could sit up, clap his paws, play hide and seek and do other things once, but now he can still sit up. He is a swell dog. Photo of my dad’s dog, Bill. 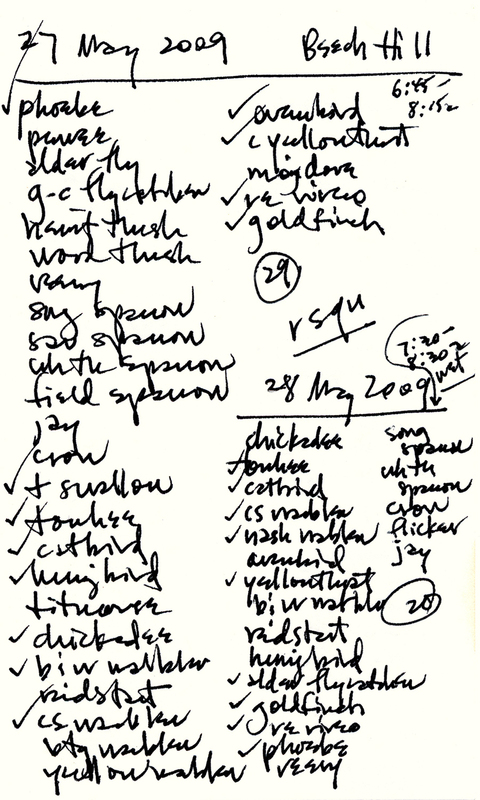 Dad’s handwriting was so legible that in 1997 I modeled a font after it. I called it Professor, after his eventual distinguished career—a career that, sure enough, involved a lot of writing (and literary translation). Right away he installed the font on his Mac and took to using it to personalize his correspondences while still typing at breakneck speed. The relative popularity of Professor tickled him no end. 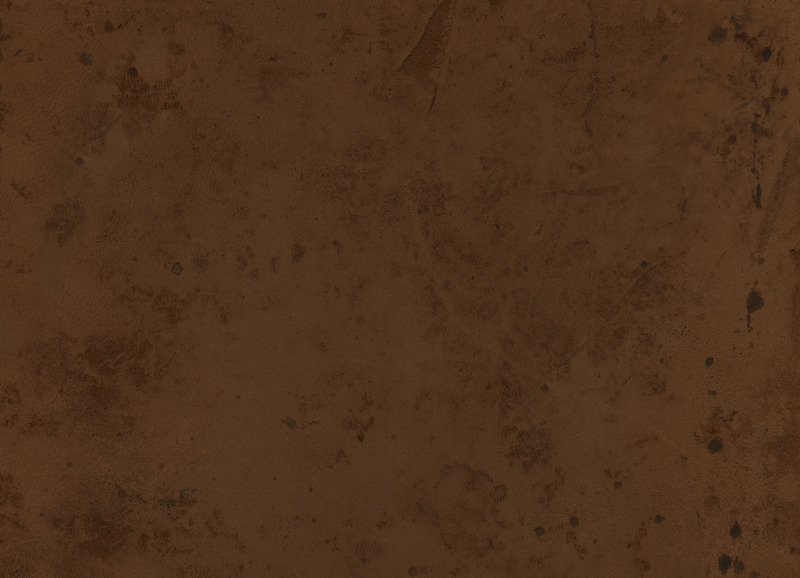 Work continues on Military Scribe font, meantime, due for release on the Fourth of July. Since it simulates the troop rosters of the His Majesty’s Tenth Regiment of Foot (circa late 1770s), I thought I’d give you a sneak peek at its current state by list some actual regimental names. 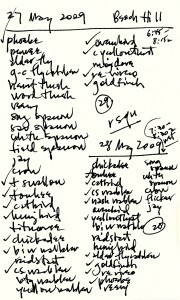 A draft specimen of Military Scribe (coming July 4th). 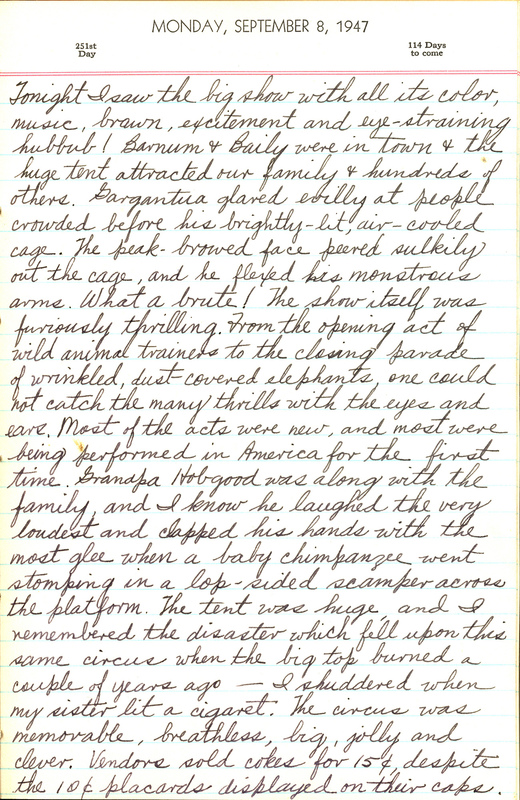 These days, in fact, I write so little that hand-cramp comes after I’ve penned not much more than a paragraph. But if the honeybee population crashes, and big agriculture fails, and civilization is thrown into turmoil, and the electrical grid goes down, I’d still know how to write, at least— although I would have to brush up on my horsemanship. Mom provided the source materials for my first old script font, Texas Hero. 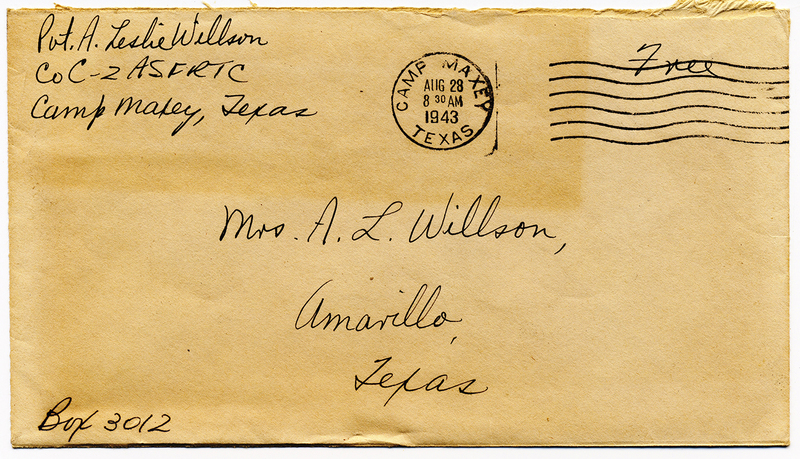 A few of us do still communicate via old-style letters instead of email. Neuroscientists even believe it worthwhile to resist the modern convenience of the keyboard. Yes, digital technology has in the past generation or so swallowed up and superseded our old pen-and-paper ways—whither film photography? magnetic audiotape?—but it turns out that commanding my fingers to manipulate a tool into coaxing tiny curves and loops and circles and stars onto a three-by-five-inch index card is better exercise for my brain than simply commanding my fingertips tap out a series of keys. Back in the early days of personal computers, my fast-typing father (a technophile) was quick to embrace—and introduce me to—the Apple Macintosh. My mother (a technophobe) never had any use for such things. But Mom could sure write a mean letter. 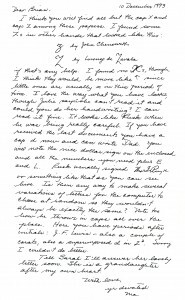 What I have now from my dad is a large digital archive of epistolary files; what I have from my mom are scores of her handwritten letters. 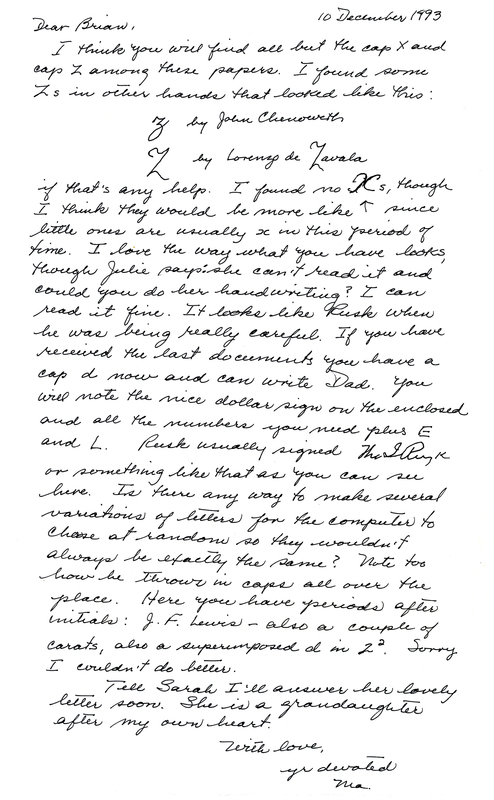 I could always tell from Mom’s familiarly small, looping cursive when she was pensive and when she was in a hurry. 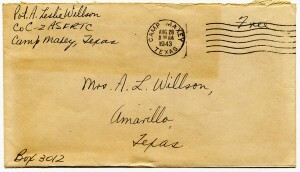 I can easily see when her letter was interrupted by one of the many pressing chores that filled her busy days. 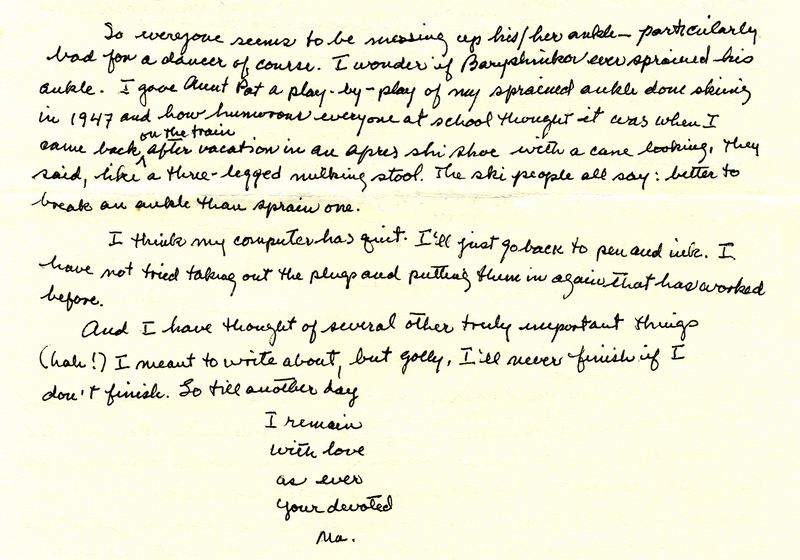 And I can certainly see, in her later correspondence, the jittery, up-and-down effects Parkinson’s Disease had on her penmanship. Still, her words were always measured and expressive, her hand ever allusive and refined. And still her letters have a sound. A smell. A feel. 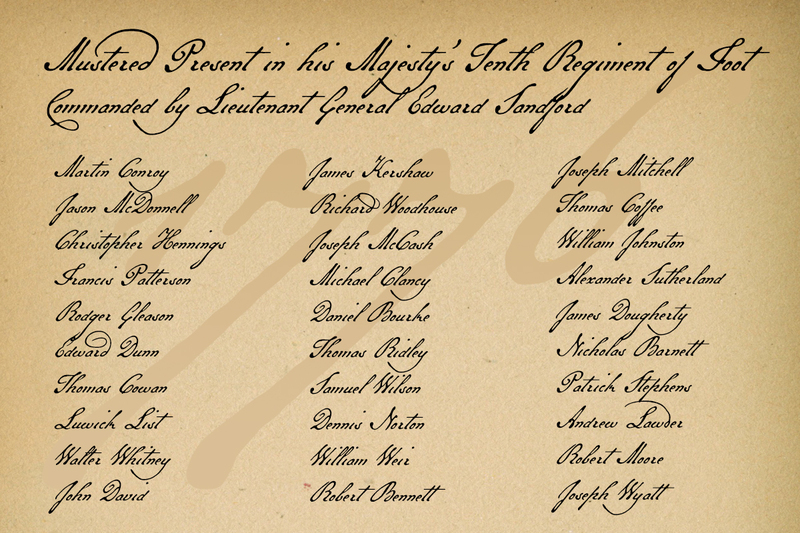 I’m currently at work on a vintage handwriting face that seeks to replicate the dense, compact, disconnected cursive script on troop rosters of His Majesty’s Tenth Regiment of Foot, circa 1776–1778. The Tenth of Foot is famous for having fought against American colonial revolutionaries at the Battles of Lexington and Concord and the Battle of Bunker Hill. Honestly, though, I just can’t live without a stack of blank three-by-five-inch index cards. 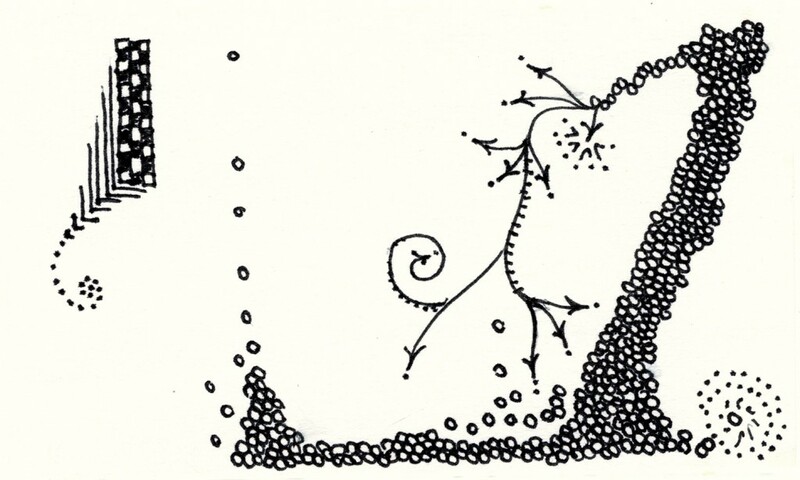 You are currently browsing the The Antique Penman blog archives for June, 2015.